We are pleased to present below all posts archived in 'March, 2013'. If you still can't find what you are looking for, try using the search box. 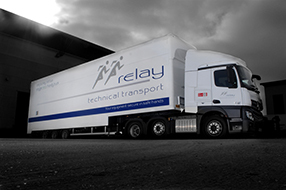 Relay has recently acquired two 13.6 metre double-decked trailers that are making an important contribution to the efficiency of our trunking and delivery operations. With a 10- tonne top-deck load capacity and 2-tonne tolerance over the swan neck, the trailer is capable of carrying approx 120 mid range machines such as PDI photocopiers. It’s worth joining a conversation if you have something to say. 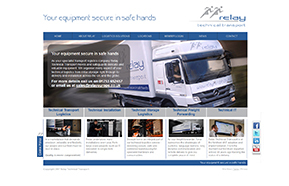 Social networking suits some businesses better than others but, although we are probably biased, we believe that Relay’s specialist area of technical logistics will fascinate to a wider audience. Our new look website is definitely worth taking a look at. 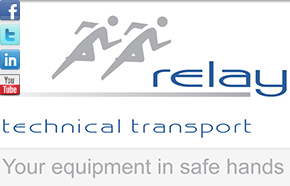 It brings the five core aspects of Relay Technical Transport into sharp focus: Transport, Installation, Storage, Freight Forwarding and IT. These are enhanced by some great images presenting us on the road, in the warehouse, at customer premises and in the buzzing logistics operations centre.